You might not know it, but your cat has something in common with animals like hawks, eagles, snakes… even dolphins. 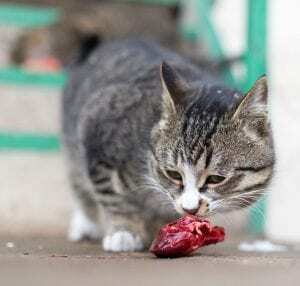 Like these and many other animals, a cat is an obligate carnivore. That means it must eat meat in order to survive. An obligate carnivore is different from just the regular old carnivore. Of course, carnivores will eat meat, but they can also survive on other types of food.  It’s important to understand why this obligate carnivore characteristic is so critical to cat health and why you need to be very selective when it comes to your pet’s nutrition. 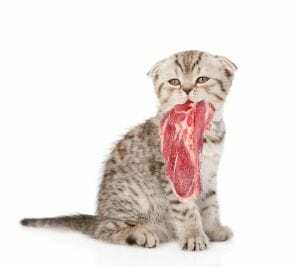 Unlike your cat, you are a plain old carnivore. You don’t need to eat meat in order to live. Cats are completely different. From the smallest kitten to the largest tiger, all cats fall into this special category of an obligate carnivore. A cat’s digestive tract has developed over time due to it being an obligate carnivore. The feline digestive system is smaller than that of most mammals. It can quickly digest raw meat, so it doesn’t need a longer digestive tract. 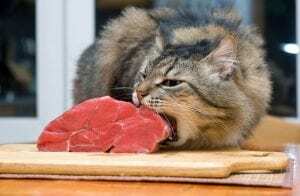 Now, an obligate carnivore needs to eat meat, but it’s not exactly practical to give your cat a steady supply of natural prey. 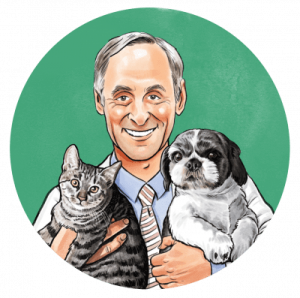 So, as a cat owner, you give your beloved feline kibble or wet food to make sure they get the nutrition they need. These foods combine animal products with other ingredients. Some products, however, contain mostly vegetable-based ingredients. As you can see, an obligate carnivore is a different type of carnivore. Obligate carnivores must eat meat to survive. Because your cat is in this special category, it has specific nutritional needs. 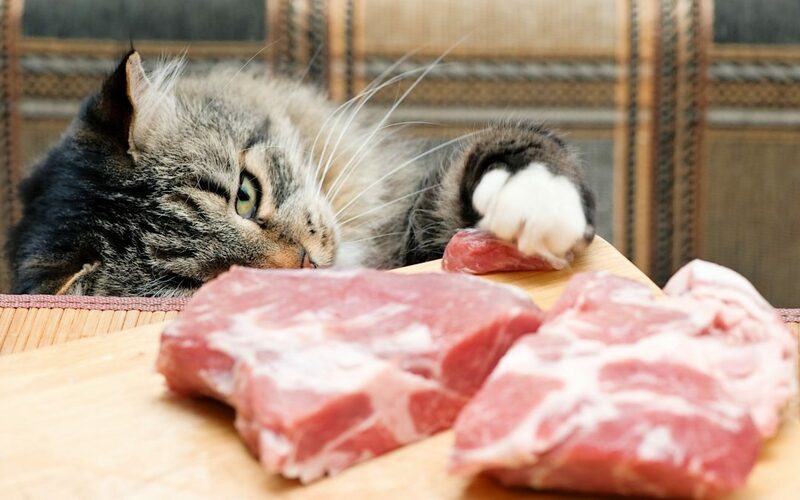 So, pay attention when you purchase cat food and make sure it has the healthiest ingredients possible.